I’m writing this from a meditation retreat where we have five, hour-long ‘sitting’ sessions per day. Long meditation is not easy! Yoga hasn’t prepared my body, as promised, for prolonged seated meditation. I sit in Easy Pose, ‘Sukasana’. Dukkhasana would be a better name (suffering pose.)! My legs say: ‘you can’t mean a whole hour’. I reply; ‘Yes, listen to that lovely birdsong. We will meditate on that and picture the birds lifting their hearts and singing their gratitude to heaven. And with that I will fill my heart with a full hour of gratitude’. The legs say: ‘No, I’ll have needles and pins instead’. Stretching out the legs in a temple is no easy task. It is considered rude to point the feet at anyone, let alone a Buddha statue. However, I stretch my legs and hope that all the other perfectly still beings (there must be 60 of us) have their eyes closed. Movement is tricky. The meditation cushion is especially noisy because it is filled with especially noisy wheat. Honestly! A whoppi cushion would be quieter! I open eyes with embarrassment at the noise and see some fellow meditators nodding deeply with the weight of a sleepy head. I close my eyes and think I’m not doing too badly. Then the itching starts. In no other area of my life do I feel the crawl of flees as much as in meditation. Next comes the rumble of the tummy with amplification a rock concert would be proud of. I try to get back to the birdsong but now my knees are screaming and my spine, newly elongated with a good night’s sleep, is grumpy at the weight of gravity and starts to roar it’s disapproval. Hormones decide this is a good time to boil like a kettle. Actually, the Buddha had similar challenges! He sat down to meditate and decided not to get up until he had gained enlightenment. The demon Mara sent seductresses and armies of monsters to attack him to keep him from Buddhahood. I feel the same. He succeeded, though, and made it to enlightenment. 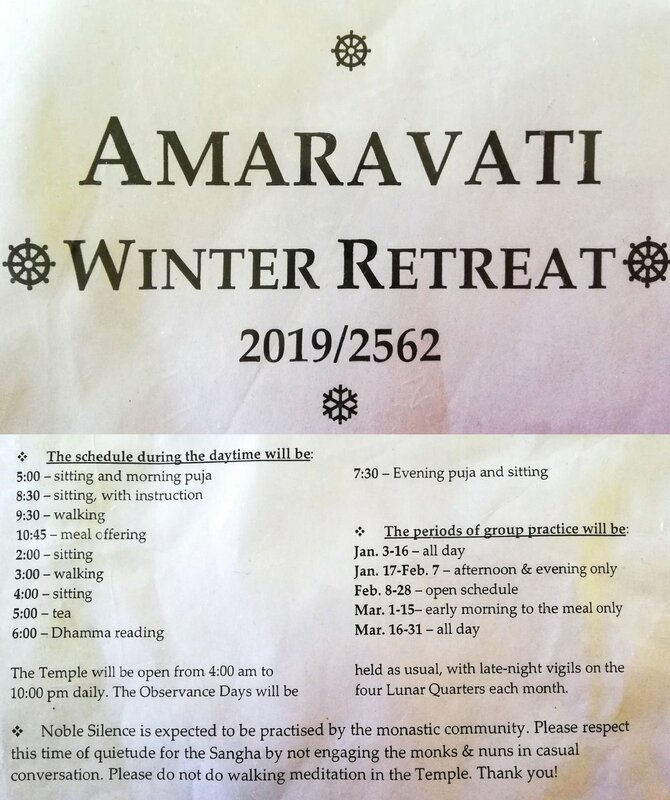 If you’re interested in a meditation retreat, take a look at the Amaravati offerings (www.Amaravati.org). The retreats get booked up very quickly but the waiting list usually kicks in. For the Greek Yoga retreat in beautiful Kapsali, the dates are September 21st – 28th and the prices are the same as last year (with an early bird period this year) Details now uploaded on my website. Here’s a hint of Kythera’s charm, an article about Easter in Kythera: ‘Kythera is the ideal destination for those seeking unparalleled beauty. This beauty emerges from the whitewashed walls and cobblestone streets of Hora, glistens on the surface of its turquoise waters, brings romance to the bars at Kapsali and mesmerizes you at the mere sight of the idyllic Fonissa Waterfall at the village of Mylopotamos’. The article is about the activities that surround Easter in Kythera and tells of the island’s deeply spiritual nature. Everything is back to normal next week. Come to class! You can see class availability on my website (which I update often). The latest availability is attached to this email.